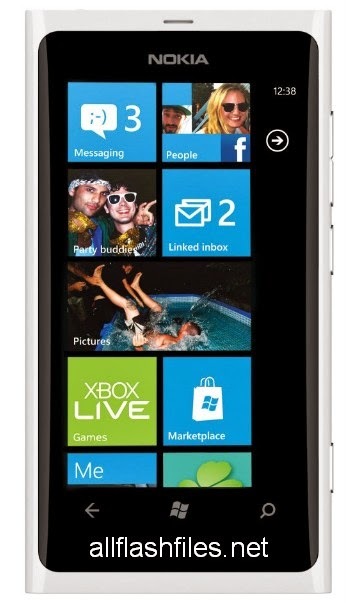 The latest flash files of Nokia Lumia 800 has been released and free download links are available for download. If you want to flash your Nokia here is a new method for flashing Nokia Lumia 800 device. This seems to work on all devices. It allows you to flash custom unlocked ROM's. But be aware: This is for Experts only!! Remember it requires you to disassemble the phone, solder connection points and you need extra hardware for this! I need to state that I am no hardware expert. So use this information at your own risk!! I am not responsible for any damage caused directly or indirectly from using this information. Normally, to get directly into the hardware of a phone, a technique called JTAG is used. To do this you need to connect hardware to connection-points on the mainboard of a phone and allows you to hook directly into the CPU of the phone. We are sharing free and official site download links. The technique that is uncovered now looks similar, but it is different. It seems that the Nokia Lumia 800 has connection-points that provide a serial-interface (similar to UART), which allows direct access to the NAND of the phone. This bypasses the Image-Update-mechanism, which does additional signature or certificate checks. With direct access to the NAND, it is possible to flash custom ROM's. It is also possible to flash another OSBL partition. The earliest batch of Nokia Lumia 800 and 710 devices, were shipped with stock Qualcomm bootloaders. Those Qualcomm bootloaders also provide direct access to the NAND of the phone. So those phones could be flashed with custom ROM's. And the partitions could also be dumped on the PC. So it is possible to get the unlocked Qualcomm bootloader from the phone. Later batches of these phones were shipped with a bootloader that was customized by Nokia. This OSBL is known as Nokia DLOAD. Direct access to NAND was removed. And the unlocked Qualcomm bootloader that was dumped could not be loaded onto those phones, because you would need to load it using the Image-Updater, which does certificate checks. For Nokia Lumia 710 a signed package from the Qualcomm bootloader was found on the Nokia servers. This allows Nokia Lumia 710 users to downgrade their Lumia to the old Qualcomm bootloader and get access to NAND for flashing custom ROM's. The new technique, that is now uncovered, also allows to write back the dumped Qualcomm bootloader. Once that is done, the device is open for custom ROM flashing, even without the need to for extra hardware and disassembling the phone. That way, you need to disassemble the phone only once, and you'll be able to flash the phone as often as you like. However, you have to watch out for Zune updates. These updates can contain updated Nokia DLOAD partitions. So a Zune update can cause your phone to relock! First of all you will need to download flash files of nokia lumia 800. Then follow the simple tips which are given below. 1- Download related flash files of your cell phone 2- Attach UFS Micro(HWK) Box or USB data cable 3- Or you can flash all nokia mobiles with phoenix service After flashing you will lose your data like Images.photose,message,contacts and many other data which is on your device. And your mobile will be restored in its orignal settings. After flashing some times your mobile shows below keywords. your screenshot result >Some thing wrong break flashing check flash files > it means ur flash file slect wrong or damage.